At Silveradoh, we have a huge range of beach towels! From budget to luxurious, we make it easy for you to find exactly what you're budget will allow. 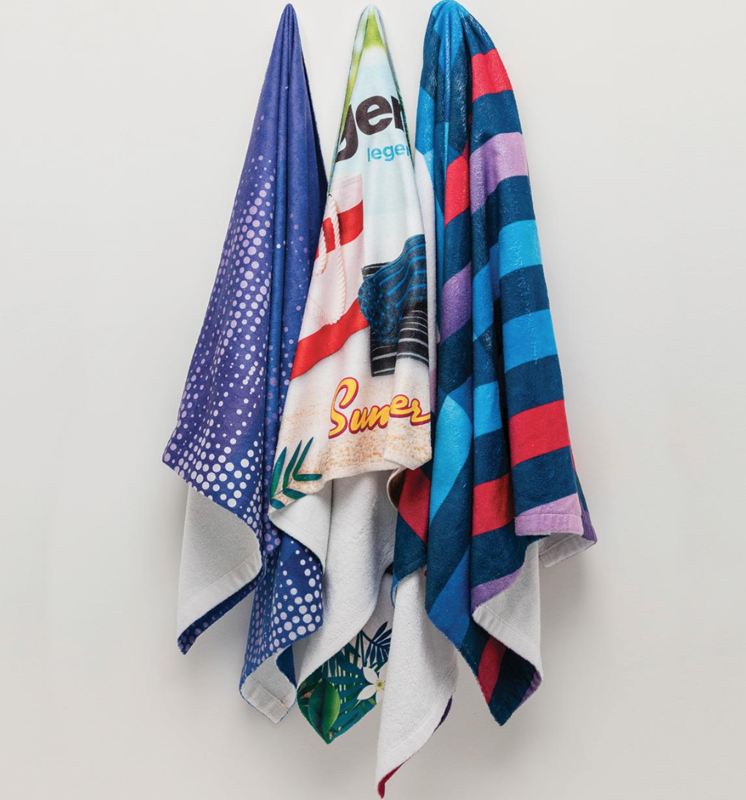 One beach towel that stands out from the crowd (and will make you stand out at the beach too) is the sublimated beach towel. With such a huge print area, it is a prime product to get your brands message out to the masses. Whether it be at the beach, the pool, or in a boat, this promotional item will be with your clients when they are relaxing and having fun - resulting in them aligning your brand with this same feeling! Do we need to mention the HUGE print area again? The sublimated beach towel is definitely a winner. Contact Silveradoh today to discuss your summer promotional products.